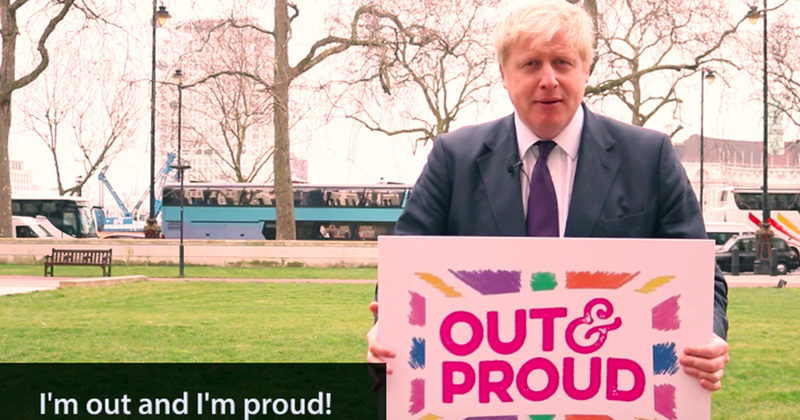 Boris Johnson has urged the LGBT community to join the campaign to leave the EU. Johnson observes that the UK has the “most progressive attitudes to LGBT issues anywhere in the world”. he added: “It was us, the British people, that created that environment of happiness and contentment for LGBT people and it is absolutely vital that we fight for those rights today because they are under threat in Poland, in Hungary, in Romania and other parts of the EU. Certainly, the UK has rightly progressive approach to LGBT rights. However, critics could argue that commitment to LGBT rights should transcend borders – and we should vote “in” and hope our progressive approach sets an example in Europe. We would have more clout over other, more restrictive nations if we remained in. On the other hand, at least he’s chatting about LGBT rights.